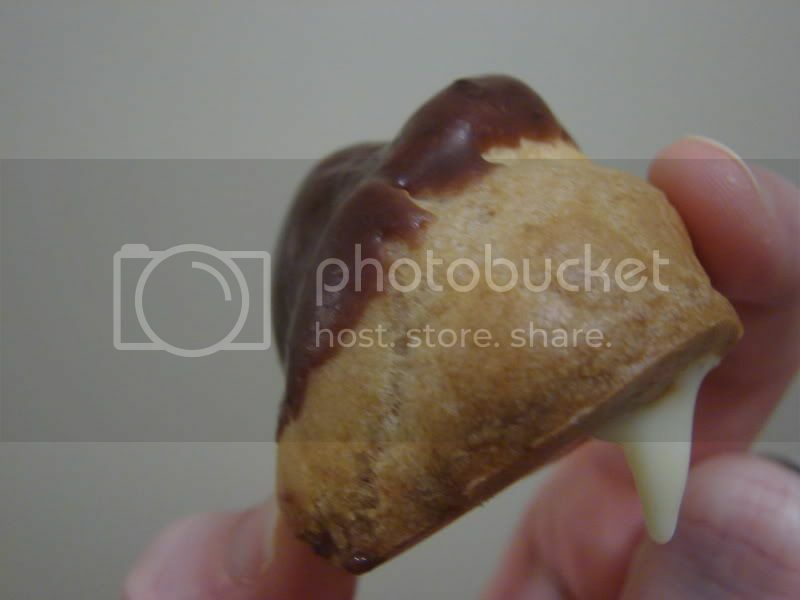 Last night I made my very first Pate a Choux AND my first custard. Two small steps for Ironstef one huge leap for Ironstef's hips! That's right, cream puffs. A classic. And quite easy at that! Who knew? In top of double boiler combine sugar, flour & salt. Add milk and mix well. Add egg yolks and blend. Place over hot water over medium-low heat & cook until smooth & thick, stirring constantly, about 10 minutes. Cool, stirring occasionally to prevent a skin from forming. Add vanilla. This tasted awesome, but I could have cooked it a little longer to get a little thicker. I wasn't sure how much it would thicken once it cooled...it hardly changed at all, it turns out. For the puff's themselves, I used Ruhlman's recipe and tips from The Elements of Cooking, which you can also find on his Elements blog along with some good discussion in the comments. All piped out and ready to bake! Yay! They turned out puffy and hollow and golden delicious! On my very first try! 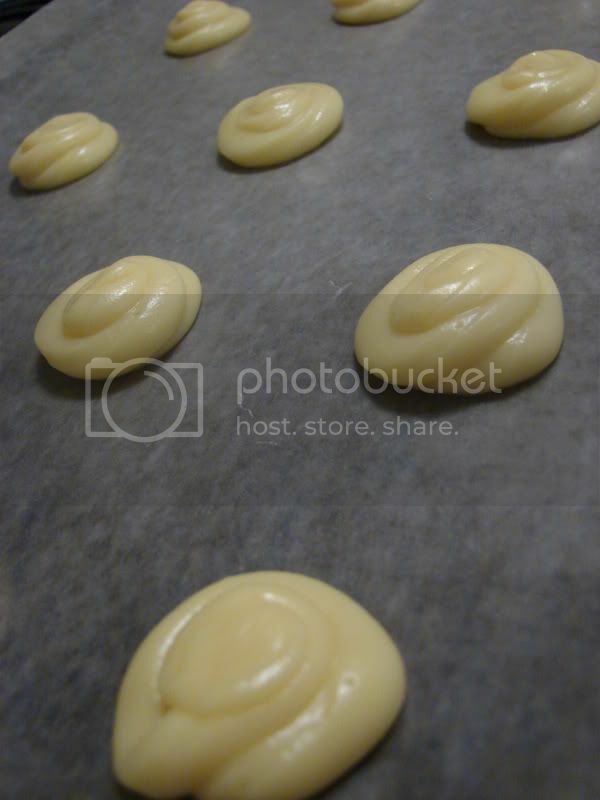 I ended up piping the filling into the bottoms of the puffs, since all of them seemed to have a ready-made hole there because of how I piped them. Next time I think I'll poke a hole in the tops so they are prettier. 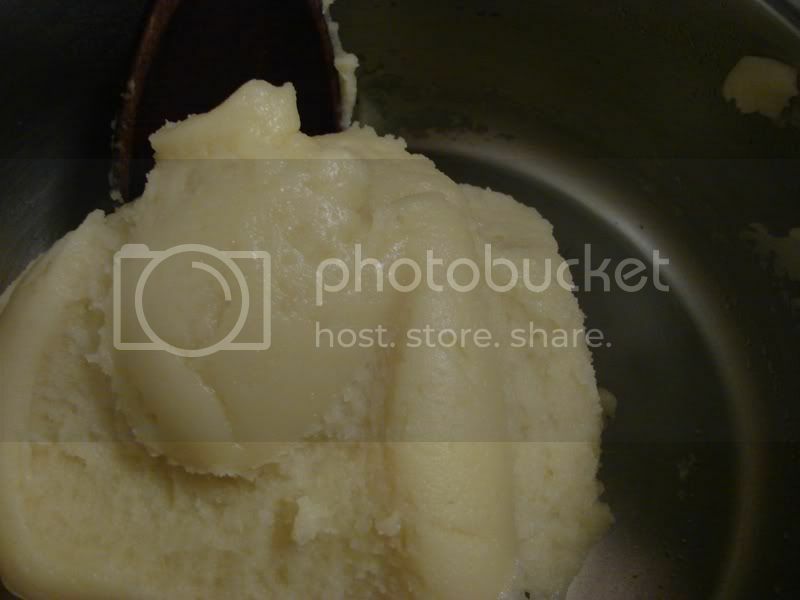 Boil sugar, butter & milk for 1 minute. Add chips and stir until dissolved. Frost immediately, as this sets up quickly. They look delicious! 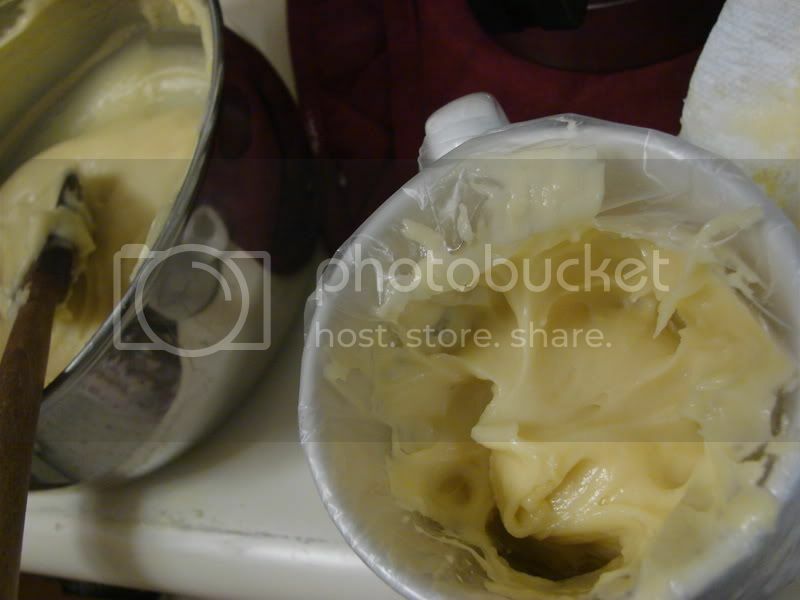 You are very brave to attempt choux paste sight unseen. 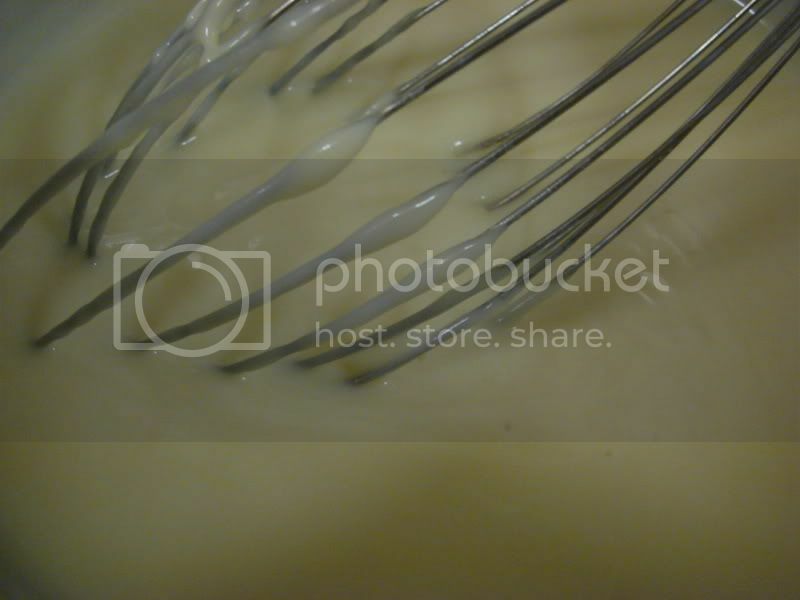 I have always prepared my creme patissiere in a stainless saucepan over direct heat. As long as you pay attention you should be in good shape. Great job!! 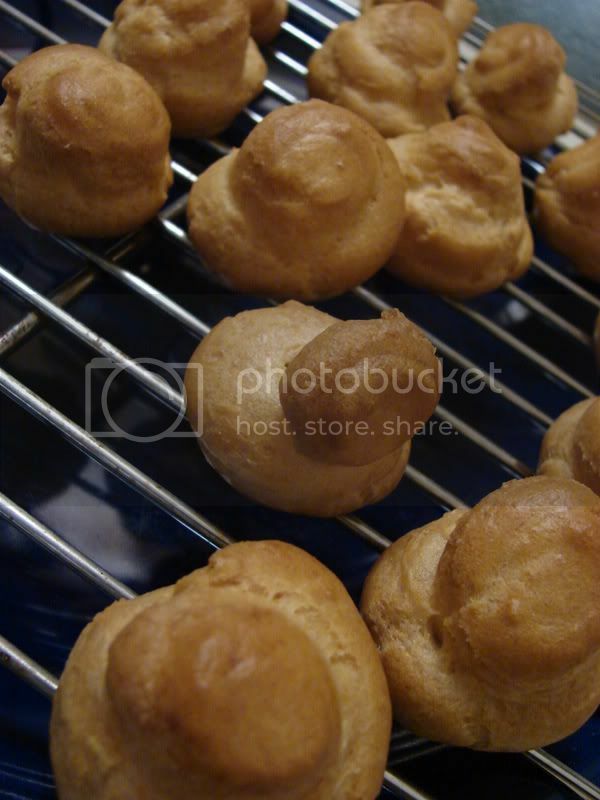 Those look delish and I can't wait to try my hand at my first creme puff too. Thanks. Congratulations! 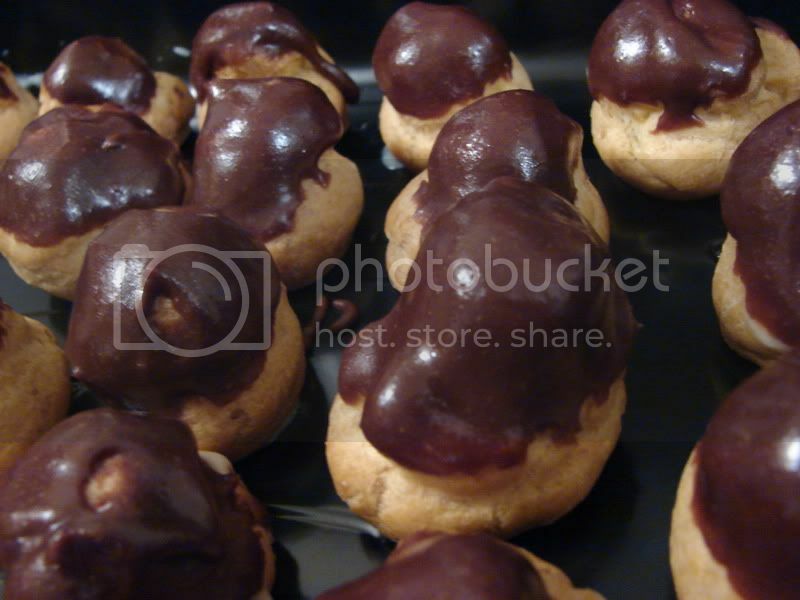 Choux pastry is one of those things that only a brave few attempt. Well done; they look grand!